On 9 October 2013 at 1pm, the 19th Europchess blitz tournament (5 rounds, 3 minutes plus 2 seconds per move per player) of the season was played on our premises in Van Maerlant building. 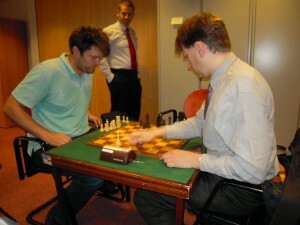 An ordinary lunchtime tournament, as nearly every week ? 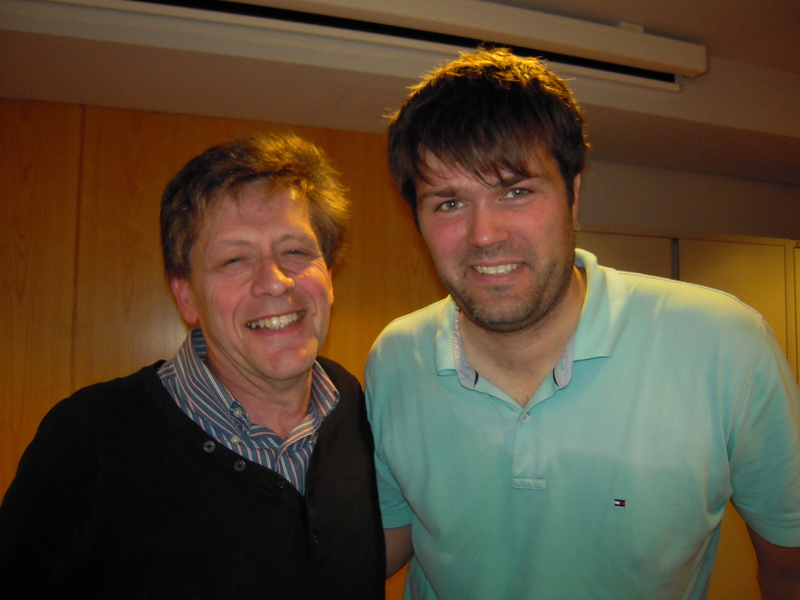 The winner, who made the perfect score of 5/5, was not a regular Europchess member but an “invité de marque” : Danish Grandmaster Peter Heine Nielsen, who was back to Brussels after the conference and simultaneous display he had given in September 2012. 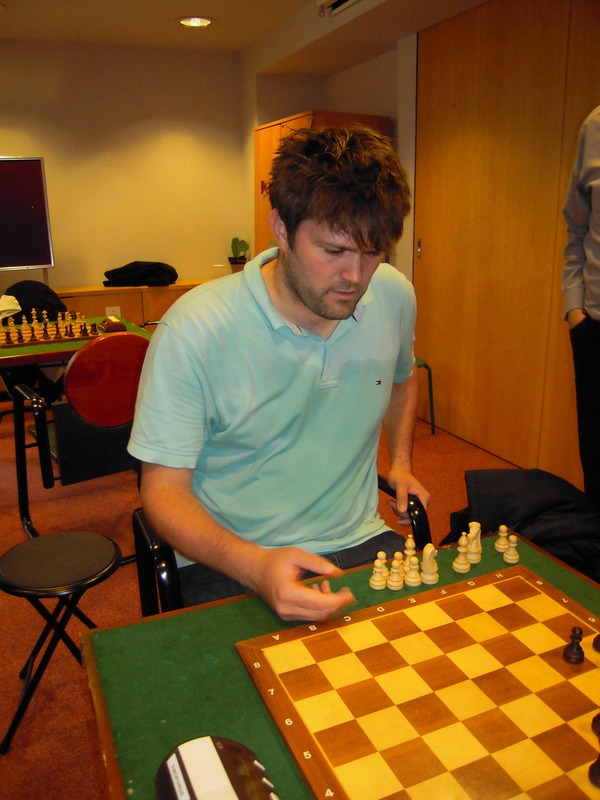 GM Nielsen, several times Danish Champion and Top 100 player (current Elo rating 2649), was also the second for World Champion Vishy Anand for 10 years and is now the second of current n°1 rated player Magnus Carlsen. This time, he had accompanied his partner GM Cmilyte, who was giving her own conference and simultaneous display on 8 October. After the event, he offered to visit the Europchess club and even to play in our tournament the next day, explaining that he loved the ambiance of chess clubs! This was a great honour for Europchess and also a great opportunity for those who were paired against GM Nielsen. It is already nice to play against such a strong grandmaster in a simultaneous display, but to play on equal terms is a kind of dream come true for every chessplayer. After the tournament, GM Nielsen told us that he felt that some of his games had been “pretty close” and that he was impressed by the level of this Europchess tournament, which was, in his own words, probably “the strongest office tournament in the world”. Maybe it is true and we earn a place in the Guiness book of records (the average Elo rating of the 15 players tournament was 2016)? What is sure is that this 9 October tournament had the strongest winner of (so far) Europchess history! One Response to The strongest office tournament in the world? Thanks for a great tournament, was fun to participate!